As you may be aware I have recently become obsessed with eating smoothie bowls for breakfast. Since the beginning of April when I took part in a 30 Day Smoothie Bowl Challenge I have eaten a smoothie bowl virtually everyday. I find them one of the best ways to fill up in the morning and stay full up until lunch and keep my energy levels high. Over this last month or so I have paid a lot of attention to what I put in my smoothie bowls but have become aware of the fact that what you put on the top is just as important. There is a lot of discussion about why to bother with toppings but I think it is essential, especially after recently reading that the act of chewing is all part of eating and that eating and bowl with toppings is likely to make you feel fuller than just drinking a smoothie. I am not sure about the science but it sounds good to me. With that it mind I think it is important to ensure the toppings you choose have as much nutritional value as possible. I use all sorts of things for toppings but I have my favourites that I go back to all of the time and I have put my 10 best, they are not in any particular order but check them out and let me know what your favourites are. As far as nuts go almonds are top of the tree (pun intended) for so many different reasons. One of the many health benefits of almonds include the fact they help to keep your blood sugar under control. 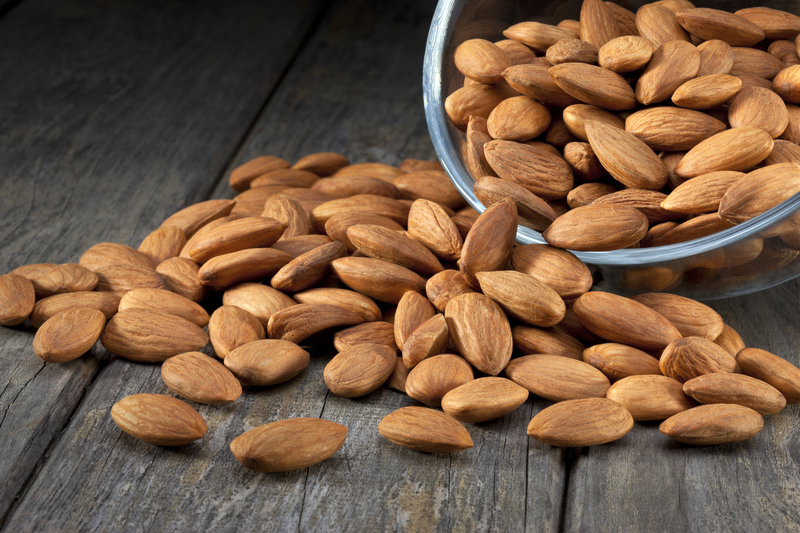 In fact if you eat a lot GI/GL diet you will find that adding almonds to a dish actually helps to reduce the effect of the whole dish on your blood sugar and so reducing the GI of the meal which is a major bonus.You will also find that eating almonds regularly can reduce your bad cholesterol and help protect you against hear disease. If you are looking to lose weight then studies have shown that eating nuts can lower the risk of gaining weight and should be part of any healthy diet. Almonds are packed full of vitamins and minerals, in particular vitamin E, manganese, copper and vitamin B2. With all this great nutritional stuff it would be easy to overlook the fact they taste great as well. My advice is to buy whole almonds, with the skin on and store in an airtight container, then when you want some on your smoothie bowl, take a few out, roughly chop, sprinkle on top and enjoy. A lot of the benefits you associate with almonds you can associate with all almonds and in particular you will find that eating a small amount of hazelnuts everyday can be great for your heart and for weight control. 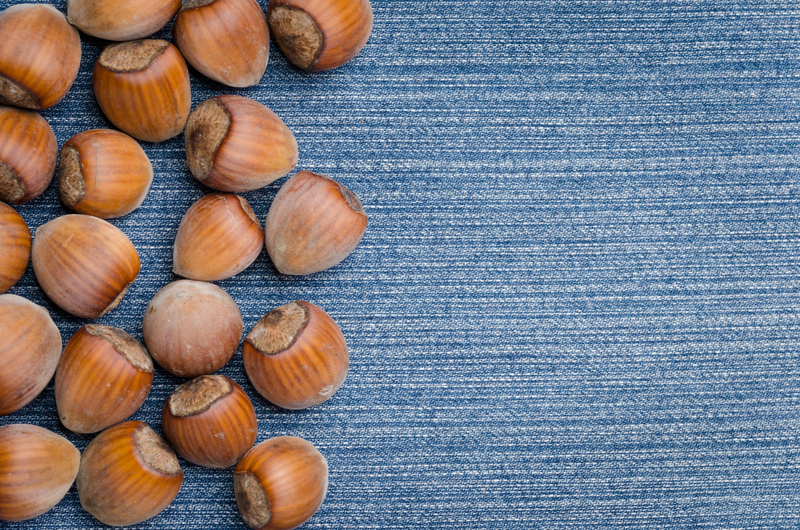 Hazelnuts are back full of vitamins and as well as being a great source of vitamin E they are also very high in folate which is a vital nutrient for pregnant women. As well as these vitamins hazelnuts are high in fibre and many minerals including manganese, copper and iron. In terms of taste there is a natural sweetness to hazelnuts that goes so well with fruit, but the best pairing for me is the one that comes to mind naturally and that is chocolate. 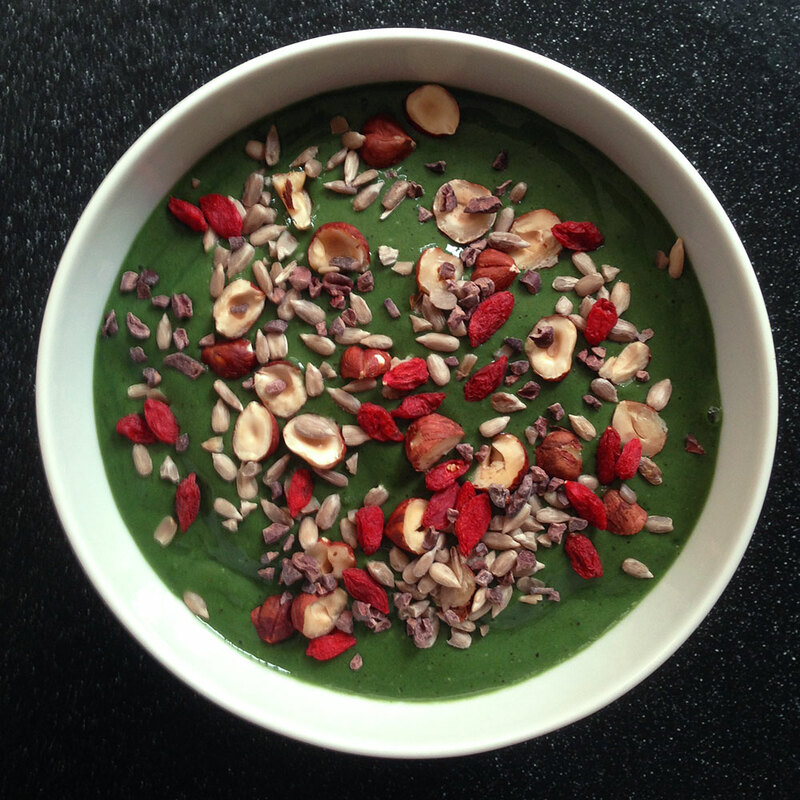 I nearly always use them when I have a chocolate smoothie bowl as I just adore the combination. Again as with almonds buy whole, not roasted and with their skin an and store in an airtight container. Roughly chop before adding to your bowl. These are probably the seeds I choose most often, they have quite a mild taste that could almost be described as nutty. I love them on my smoothie bowls as they add crunch but are not super hard, just the right amount of texture and with so much good stuff they are a winner all round. Sunflower seeds are exceptionally high in vitamin E and also contain large amounts of magnesium and selenium which leads to a number of health benefits. These benefits including, lowering cholesterol, calming the muscles and nerves as well as improving the detoxification process and acting as a cancer preventer. Sunflower seeds should be stored in an airtight container in the fridge of even there freezer to prevent them from going rancid. 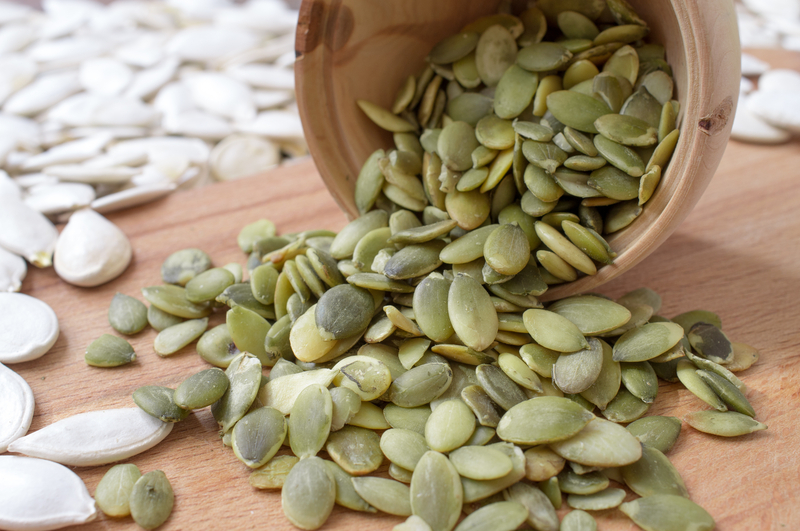 Pumpkin seeds are probably the king of all seeds and brilliant for vegans as they are one of the few plant based sources of omega-3’s which is great in its own right but there are so many other good things about these seeds that you really could write a book on them. As with so many nuts and seeds pumpkin seeds are thought to be really good at helping you to keep your blood sugar in balance. They are also high in magnesium which is good for your blood pressure and could be beneficial in preventing heart attacks, and strokes. Another mineral they are high in is zinc and this has a lot of effects on the body affecting things like mood and the immune system and in men prostate health. Other benefits include, relief of menopause symptoms, a better night’s sleep and anti-inflammatory properties. This is another seed that has quite a subtle taste but is just wonderful on your smoothie bowl, just remember to keep them fresh in a airtight container in the fridge or freezer. 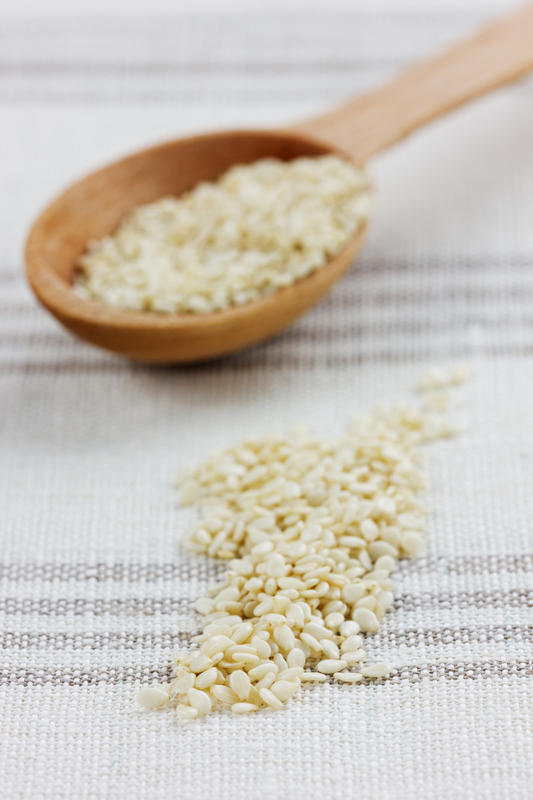 You will see sesame seeds everywhere, they are used to make tahini, you see them in lots of Asian cooking and then there is sesame seed oil that you often taste drizzled over your Chinese noodles and I love them. I also find that these seeds go really well with my chocolate bowls and this may be because they have quite a distinct nutty flavour and they need to be paired with something strong so as not to overpower it. Then there are the minerals that you can get from these seeds with them being high in copper and manganese as well as being good sources for magnesium, calcium, phosphorus, iron, zinc and selenium. Being so high in copper it means they are a great for the relief of rheumatoid arthritis and the other minerals meant they are a great support for respiratory system and bone health as well as helping to prevent colon cancer, migraine, PMS and osteoporosis. As with most nuts and seeds they also help to lower bad cholesterol and so have many benefits for heart health. 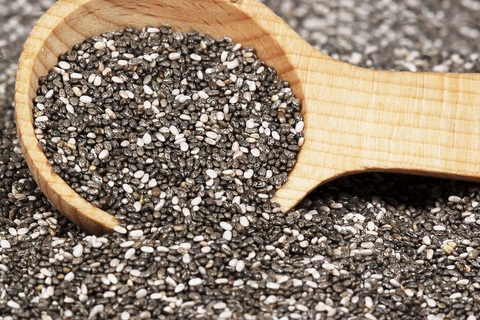 Chia seeds are little seeds that are either black or white and add a delicate crunch to any smoothie bowl. I often use the black ones (which are easier to get) when I have a light coloured smoothie bowl for a bit of contrast. I know that is a really superficial reason but they are good for me too. 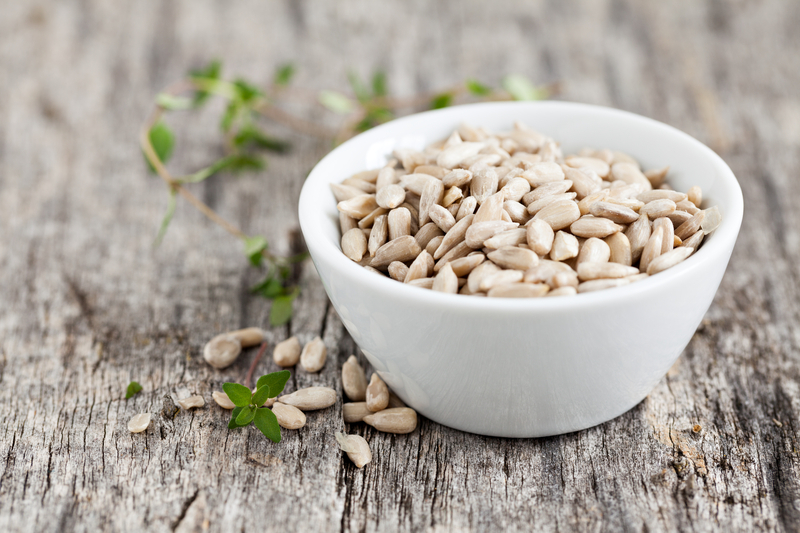 Like pumpkin seeds this little seeds re also high in omega-3’s as well as being high in fibre, protein, calcium, manganese, magnesium and phosphorus. Some of the health benefits from all these goodies include the fact they can reduce the risk of heart disease and diabetes as well as supporting bone health. It is also thought they can be used to improve sports performance in the same way as many of the sports drinks do. 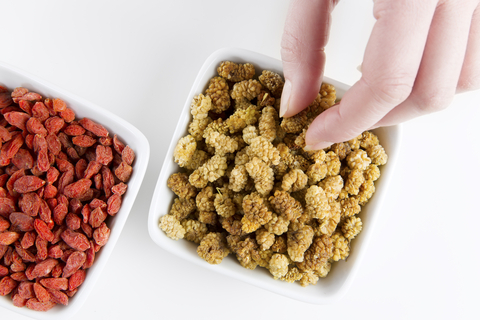 Goji berries are small bright read berries that are packed full of antioxidants. I love them because they have a great sweet taste but without too much sugar. If I have a smoothie bowl that is not too sweet I like to add these berries to up the sweetness but keep my meal healthy. As goji berries are usually found dried they are a slight crunch to them and you can soak them before eating but I like that crunch with my smoothie. 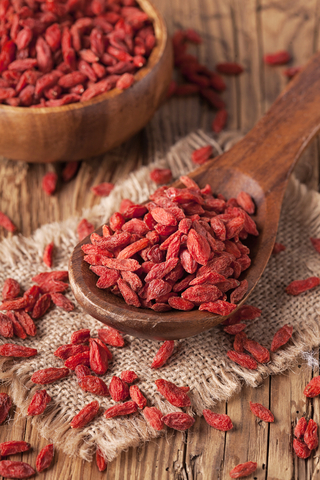 There are many claimed health benefits to goji berries that include giving your immune system a boost, improving hair and skin as well as improving your overall sense of wellbeing. Although the scientific evidence may not be massive, they taste great, are low in calories and eaten in small quantities will do you no are harm so as far as I see it you cannot go wrong with these little berries, I love them. When I first put these on my smoothie bowls I remember my mum looking at me wondering what on earth I was eating and it was a new experience for me but I have fallen in love with these berries. They come in a number of different colours (white, black or red) and the taste great. They are not as sweet as you would think and have a slightly unusual taste that I can’t quite put my finger on but they are yummy. These little berries are pack full of vitamins and minerals and in particular are a high in vitamin C and iron as well as being a good source of potassium, manganese and magnesium which could help to keep blood pressure under control. In terms of vitamins they are also a good source of the vitamin B-complex group and vitamin K. Like all berries mulberries also contain resveratrol which is thought to have properties that could protect you from strokes. I buy my mulberries dried in resealable bags that keeps them nice and fresh for ages, if they last that long. Cacao nibs are basically the raw cocoa bean that has been roasted taken out of its shell and broken into pieces so you basically get all the chocolate benefits with out the downside of the refining process. I have to be honest and tell you that they are an acquired taste and something you will need to work up to but now I am used to the bitterness of them I love them. They are a real compliment to the sweet fruity smoothie bowls and then they also work well on chocolate ones too. As well as adding a great flavour profile you will also find a lot of health benefits. 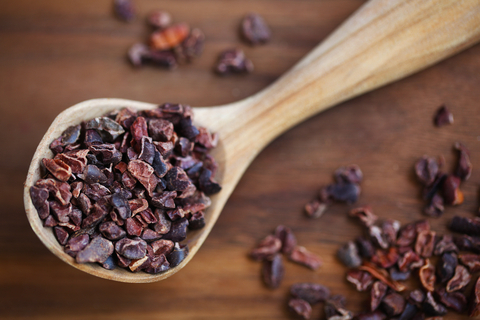 Cacao nibs are packed full of antioxidants and flavonoids that are thought to fight off free radical damage which can help slow down the raging process and also offer anti-cancer properties and reduced risk of heart disease. This little superfood is also full of fibre, magnesium and potassium with all the associate health benefits of these nutrients. Finally it is thought that cacao can have an effect on your mood and particularly in releasing endorphins and giving you that feel good factor. I cannot recommend cacao nibs more as I absolutely love them and think they can be added to virtually any smoothie. This is one of my favourite foods of all time and on my smoothie bowls I either use coconut chips or desiccated coconut for different textures (and designs). Coconut has a natural sweetness and this will be added to your smoothie bowl and it just adds something special to any smoothie. 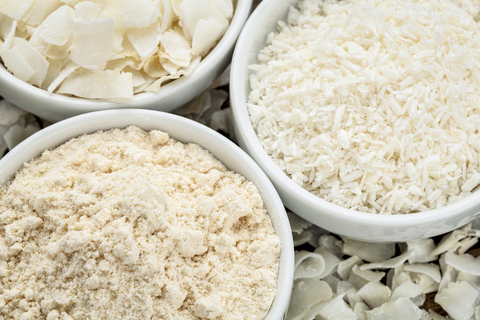 One of my favourite things about coconut is that studies have shown that people who regularly consume coconut are actually leaner, despite its fat content. Don’t ask me to explain how this happens but it has got to be a good thing right? Coconuts are high in antioxidants and have a lot of health benefits as a consequence. A noticeable benefit is their effect on blood sugar, they are an excellent balancer and help to keep those peeks and troughs in order. Coconuts are also thought to lower cholesterol, improve digesting and improve your skin too. There are so many ways you can add coconut to your smoothie bowl you just have to do it. So that is my round up of my favourite smoothie bowl toppings, this is by no means exhaustive, I haven’t even included peanut butter. There is so much more to be said on this topic and not only are these toppings good for you but they taste great too. I think that if your tastebuds aren’t excited about what they are eating they will not want to keep going back so making things tasty and varied is always important. When I put my toppings together in the morning I usually go for a nut, a seed some coconut and then maybe a berry and/or cacao nibs. I might leave berries our if my smoothie is sweet or I am putting some fresh fruit on top. The most important thing is to be creating and express yourself with it.